This add-on migrates your multilingual data from Magento to WordPress. You also need WPML to manage your multilingual content in WordPress. This add-on requires the main plugin FG Magento to WooCommerce Premium. It also requires the free WooCommerce plugin. 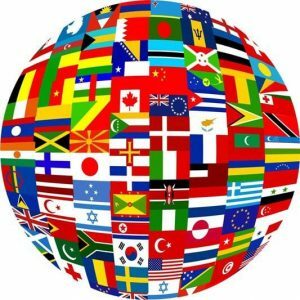 Deactivate WooCommerce Multilingual. This plugin prevents the import of products translations. If you want, you can activate it once the import is completed. Make sure that the Magento main language is defined as the default language in WPML. I'm rating the plugin 5 of 5 stars for the functionality and the author for his service and support. Super Time Saver! Works great. Due to limited permissions on my shared host, I had to run the import on my localhost and then upload my site after. I can't stress enough how helpful Frederic and Byron were in supporting me every step of the way. These guys are great, and I don't need to explain how much time was saved compared to my having to enter 1000 products and images from scratch. Great work, guys!!! Bought this product to see if we could save some time migrating a customer. Turns out it works very well. We had a few minor glitches, but I e-mailed Frederic and got a responsive within hours saying he was on top of the problem. He was indeed and he fixed the issues and kept us up-to-date in the process. Can recommend this product without a doubt to anyone looking for a great tool to help them migrate data from Magento to WordPress/WooCommerce.